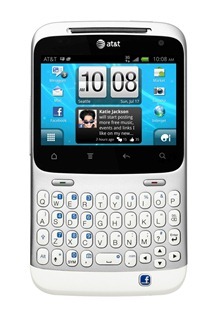 What does make this phone special, however, is its social integration and the inclusion of a Facebook button. This allows for one-touch sharing of status updates, photos, news, and currently playing track. Long-pressing the button utilizes Facebook's check-in feature, quick and painless. According to the official Status Facebook page, this phone will be exclusive to AT&T in the US, and will be coming to Telus in Canada. Pricing and availability has yet to be announced on either carrier, but we'll make sure to let you know as more info pops up.